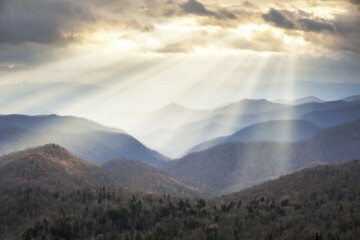 The Southeast is the most biologically diverse region in the United States. What does that mean? In layman’s terms, our forests are full of really, really cool animals—squirrels that fly, elk that spar, bears that growl, alligators that smile, and even fireflies that can keep time. Use this guide to find out where the wild things are, and how you can improve your chances of seeing them. No animal in the forest ignites the imagination like the bear. Many Native American tribes considered the bear their “brother,” while European settlers considered them dangerous and went about the process of eradicating them. They nearly succeeded here in the Southeast. By the 1900s, black bear—the only species of bear native to our region—were only found in the most remote mountains and coastal swamps. To reverse the downward spiraling bear population, the U.S. Fish and Wildlife Service (FWS) began severely regulating bear hunting in the 1960s and established massive bear sanctuaries throughout the region. Black bear populations have been on the rebound ever since. “We all grow up thinking bear are ferocious. I know I did. But once I got to know their language, I found out that these supposedly ferocious animals were actually intelligent and timid,” says Dr. Lynn Rogers, director of the Wildlife Research Institute. Rogers has spent the past 42 years living with and studying black bears in the wild. Rogers says the way bears are portrayed in the media has led to a society that simply does not understand wild bears. From sensational magazine covers that portray bears attacking humans, to the obsessive coverage of rare bear attacks, Rogers says black bears have been given a bad rap. 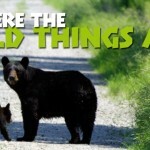 Development and sprawl in the Southern Appalachians are pushing bears out of their natural habitat and increasing the number of nuisance bear encounters. Of particular concern are the many second home developments that are gobbling up steep mountain slopes. Black bear are omnivores, so they eat a little bit of everything, but their diet consists mostly of plants, berries, nuts, and grasses. The coat of a black bear can range in color from black to brown or cinnamon. Average adult black bears are 4-7 feet long and weigh between 150 and 300 pounds. Roughly 300,000 black bear live in 40 states throughout the U.S.
Black bear are typically solitary animals and forage alone, with the exception of mothers and cubs. Over 2,000 black bears live inside the 500,000-acre national park. A number of factors have contributed to the park’s higher density bear population—location, availability of food—but none have contributed more than the fact that there is no bear hunting allowed inside the park, which gives female bear more time to raise their cubs. “Your chances of seeing a black bear in the wild are as good here as anywhere else on public land,” says Kim DeLozier, supervisory wildlife biologist for Great Smoky Mountains National Park. 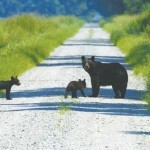 Even with the higher density of bears in the Smokies, your odds of seeing a bear are slim. But you can increase your chances by following two simple rules. “Be very quiet, and go where the food is,” Dr. Rogers says. Black bear have a varied diet, but they primarily spend their time foraging for berries and acorns. Rogers suggests looking for stands of white oak, which shed acorns during the fall and are common throughout the park. Also look for thickets of blackberry, blueberry, and huckleberry during the summer. High-elevation balds are often adorned with berry shrubs. 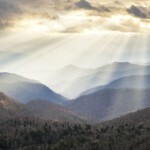 Try the Gregory Ridge and Gregory Bald trails, which lead to Gregory Bald, a grassy bald bordered by blueberry bushes. Go early in the morning or late in the evening, as bears tend to avoid foraging for food during the heat of the day. While black bears don’t hibernate in the traditional sense, they do go into a dormant state during the winter months. In fact, black bear can go 100 days without eating, drinking, or taking bathroom breaks. During this lazy time, a black bear’s heartbeat can slow into the single digits per minute. Number one rule: Don’t feed the bears. Habituating bears to human food and activity can have severe negative affects on the individual bear and the population in general. It’s also against park regulations to approach a bear within 50 yards, so keeping your distance is key to a good bear encounter. What should you do if the bear approaches you? Follow these simple rules to ease yourself out of a sticky situation. Give it the right of way and hope it changes directions. If that doesn’t work, start talking in a low tone and slowly back away. If the bear persists, get to higher ground: Stand on a rock or a log and speak more authoritatively, establishing your dominance over the bear. If the bear still comes at you, separate yourself from your food. If you have a backpack with granola bars, take it off and throw it away from you. On the rare occasion that the bear attacks, fight back. This is your only chance for survival. Only a few hundred years ago, massive elk roamed the Southeastern United States, much as they roam the Rocky Mountains today. The behemoth, reindeer-like animals moved in herds from the forest to open grasslands, but their relatively predictable habits made them easy prey for hunters. By the early 1800s, most of the elk were extirpated from the Southeast. Our region stayed elk-free for roughly two centuries. But in 1997, the Rocky Mountain Elk Foundation and the Kentucky Department of Fish and Wildlife teamed up to reintroduce elk into the South. They imported 1,500 elk over a five-year span. Today, there are an estimated 7,000 elk living wild in Kentucky. The herds are doing so well that they’ve migrated into southwestern Virginia. And in 2001, 27 elk were imported from Kentucky into Great Smoky Mountains National Park, where they have become a popular tourist draw. Elk, moose, caribou, and white-tailed deer all belong to the same family of ungulates. As dedicated herbivores, the elk diet consists mostly of grasses, shrubs, and bark. Elk are herd animals, which enhances their chances of survival. While elk eat, at least one animal is always on the lookout for predators. Antlers, which elk grow and shed in cyclical patterns, grow faster than any other kind of bone known to man. An average elk bull weighs 700 pounds and stands five feet at the shoulder. Elk cows weigh 500 pounds and stand a little shorter. Calves are about 35 pounds when they’re born. The elk were originally established on reclaimed coal mine sites, which have been rehabilitated into grasslands, but as the herds have expanded, they’ve established home ranges throughout the public and private lands of Southeastern Kentucky. Several state parks operate guided tours, and the Land Between the Lakes National Recreation Area manages a controlled herd that’s gated and accessible by vehicle. For a more primitive experience, hike into the Redbird Wildlife Management Area, a 25,000-acre refuge sitting inside Daniel Boone National Forest. Redbird is popular with hunters, but it also has 25 miles of hiking trails and 100 acres of open grasslands, which the elk love. The Redbird Crest Trail is a 65-mile multi-use trail that loops through the area, providing access to other hiking trails and wildlife openings. In the Great Smoky Mountains National Park, you have two options for seeing elk in their natural habitat. Roughly 90 elk are spread within three herds, one of which has moved beyond park boundaries into private land. But two herds live inside the park, the largest of which grazes in the fields throughout the Cataloochee Valley. The other has taken to the grasslands of the Oconaluftee Valley. The Cataloochee Road bisects the grassy Cataloochee Valley, but several hiking trails traverse the mountains surrounding the valley, offering glimpses of the elk as they graze as well as the rare treat of seeing the massive beasts in the thick forest. Check out the Boogerman Trail for an 11-mile loop. To witness the smaller herd of elk in the Oconaluftee Valley, walk the well-maintained 1.5-mile Oconaluftee River Trail, which follows the river through the valley into Cherokee. Timing is everything when looking for elk. They graze in the fields early in the morning and late in the afternoon, just before dark. And if you really want to see elk at their finest, plan your trip for the fall, during “the rut.” From September to October, dominant bulls gather and breed with harems of up to 20 cows. The bulls spar with each other to establish dominance, knocking and locking antlers, and you’ll be able to hear their distinctive “bugle,” which is a loud call meant to attract females. Kentucky elk are actually larger than the elk found in Western states, the result of the warmer winters and a lack of natural predators in the region. Bull elk shed their antlers in March and immediately begin growing them back again. 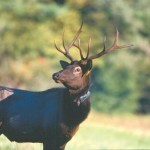 By September, during “the rut,” their antlers are full-grown and can be five feet wide. The red wolf used to roam freely from Florida up to Pennsylvania, but unregulated hunting and overdevelopment of their natural habitat decimated wolf populations in the Southeast. By 1967, when the red wolf was listed as a federally protected endangered species, there were fewer than 20 of them living in the wild. The wolves were captured and bred in captivity by the U.S. Fish and Wildlife Service until their numbers were large enough to release a number of them into the wild. Today, more than 100 red wolves roam 1.7 million acres of the Albermarle Peninsula in Northeastern North Carolina. It’s the only place in the world where you can see these animals in the wild—a fact that comforts many who harbor misconceptions about the wolf. The red wolf is a lot more afraid of us. In the Albermarle Peninsula, the greatest threat to the red wolf is hunting. Hunters often mistake the red wolf for the coyote. 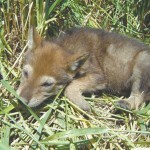 As a result, gunshot is now the leading cause of red wolf mortality. 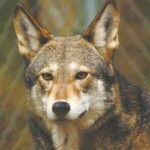 The adult red wolf averages 45 to 80 pounds and reaches 26 inches tall and four feet long. They live in packs of 5 to 8 and prey on raccoon, rabbit, deer, and rodents. A red wolf will live for 5 to 8 years in the wild, twice that long in captivity. Your chances of seeing a red wolf in the wild are slim. 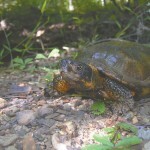 The Albermarle Peninsula is the only location where they currently live in the wild, and a scant 100 of them are scattered across 1.7-million acres. Plus, they’re wary of humans and predominantly nocturnal. Still, there are ways you can maximize your chances. First, head into the Alligator River Wildlife Refuge, the first location the wolves were released into the wild and the current home of several packs of wolves. Fifteen miles of kayak trails traverse the refuge—which is a mix of blackwater swamp, reclaimed cropland, and maritime forest—but stick to dry land if you want to see wolves. “You won’t see a wolf from the canoe trails. The forest is too thick,” Shawser says. Instead, head to the edges of the forest, where the trees give way to grasslands. The refuge houses 5,300 acres of reclaimed farmland, which serves as a popular hunting ground for the wolves. Wildlife Drive circumnavigates much of these grassy fields. Show up late in the evening when the wolves are beginning to get restless, and you might have some luck. “If you stop by the edges of the forests, and sit with binoculars, you might see one,” Shawser says. 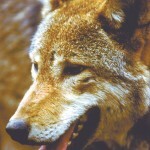 If you want to increase your chances of witnessing wolf activity, join one of the Red Wolf Coalition’s Howling Safaris (redwolves.com). You’ll be guided into the refuge after dark where biologists will attempt to entice captive and wild wolves to howl for the audience. For sheer drama, you can’t beat the American alligator. Weighing in at 1,000 pounds, and stretching 10 to 15 feet in length with thick skin covered in ridges from the head to the tip of the tail, the alligator is the dominant predator in its habitat. Gators are like mini-dinosaurs, and there are millions of them living in the Southeast, making them one of the most successful wildlife rehabilitation stories in American history. The reptiles were hunted to the brink of extinction in the early half of the 20th century, and finally listed as endangered in 1967. Alligator populations recovered under the severe hunting regulations and aggressive habitat protection set forth by the Endangered Species Act. Today, gator habitat runs from the Florida Everglades up the Eastern seaboard into North Carolina. They thrive in swamps, marshlands, rivers, and small ponds. They have a primarily carnivorous diet that consists of turtle, fish, snakes, waterfowl, and raccoons. The alligator is the top of its food chain—a fact that worries most people who enter their swampy dens. Surprisingly, there have been very few dangerous encounters between alligators and humans, even in a place like the Okefenokee where gators are plentiful and humans are curious. The greatest threat to the alligator today is the destruction of habitat, which is caused by the logging of cypress, mismanagement of water systems, and increased levels of mercury and dioxins in the water. Alligators have been roaming the Southeast for 180 million years. Male alligators rule a home range of two miles, while female gators stick to a smaller range. In areas where the water level fluctuates like the Okefenokee, alligators dig themselves into hollows in the mud, which fill with water. These tunnels are often as long as 65 feet and provide protection during extreme hot or cold weather. Alligators can live up to 50 years in the wild. The Okefenokee National Wildlife Refuge is a 400,000-acre swamp and federally designated Wilderness area with more than 120 miles of well-marked canoe trails, overnight camping platforms, and about 12,000 alligators. 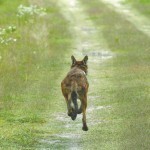 It’s an enticing prospect if you want to see one of the wildest creatures in the Southeast in its natural environment. “There are few places that rival the Okefenokee for seeing alligator,” Campbell says. Paddling the Okefenokee’s canoe trails is the only way you can venture into the depths of the swamp. A handful of color-coded trails weave in and out of cypress knees, and according to Campbell, any one of them will take you into gator country. “Gators are pretty evenly dispersed throughout the swamp, so it doesn’t matter which trail you take. And several shelters are built very close to resident gator holes,” Campbell says. 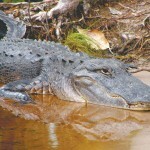 Improve your chances of seeing gators by visiting Okefenokee in the spring or fall. Gators are dormant during the colder winter days and will feed at night during the hotter summer days. During the spring and fall, however, they’ll “haul out” and bask in the sun. You’ll also increase your chances of gator sightings if you hit the swamp when the water is low. And skip the nature walks at the park entrance. The deeper into the swamp you go, the wilder and safer the gators become because they’re less accustomed to humans. Don’t try to swim with the gators. If you see a gator, try to maintain at least 10 feet of distance. Don’t strike the gator with your paddle or slap the water with your paddle, which gators interpret as a challenge. Instead, raise your paddle in the air, giving the appearance that you’re a large animal and reestablishing your dominance over the gator.